Over half (55.2%) of young adults between the ages of 18 and 34 have had their parents help them with a job application, with 57% admitting that their parents have helped them to write their CV. 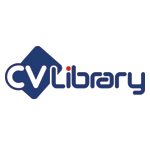 This is according to new research from the UK’s leading independent job board, CV-Library. Furthermore, the study found that 16.7% of 18-34 year olds have had their parents call in sick to work on their behalf, while 7.4% have even relied on their parents to deal with their boss for them, e.g. asking for a promotion, a pay rise, time off etc. Interestingly, a further 7% have gone as far as taking their parents along to a job interview. A quarter (27.7%) of this age group think businesses should make allowances for candidates who bring their parents to an interview with them, with nearly two thirds (60.5%) stating that if they were in charge of hiring, they would hire someone who brought their parents to an interview. While the majority of UK workers (72.1%) think that parents should not get involved in their child’s career, 45.6% of employees aged 18-34 think it is acceptable, followed by 30.7% of 35-44 year olds. That said the majority of UK workers (84.9%) believe that it’s unprofessional for employees to involve their parents in their working lives.